Manchester’s finest make a welcome return with ‘La Petite Mort’, the first new full length James album in six years. Produced by Max Dingel (Killers. Muse, White Lies) and written as ever, by the band, with Tim Booth lyrics, this new disc ranks among their finest in their 30 year career. Highlights include the mighty first single ‘Moving On’, the anthemic ‘Curse Curse’ and ‘Frozen Britain’, which will be previewed from today online and on air. Max Dingel is the latest in a long line of first class producers the band have worked with including Brian Eno, Gil Norton and Youth. From first signing with the infamous Factory Records, to an illustrious career of albums released through Rough Trade, Sire Records and Mercury, James have now agreed an exciting new joint venture label partnership with BMG Chrysalis and Cooking Vinyl. The band have been announced as headliners for ‘Summer in the City’, Castlefield Bowl, Manchester July 11th (which sold out on Friday in under an hour) and Camp Bestival, Dorset August 1st with more major festivals and a UK Arena tour to be announced shortly. ‘La Petite Mort’ was recorded in the wake of Tim Booth losing his mother and best friend in quick succession and understandably many of the songs deal with mortality, hence the album title. However, ‘La Petite Mort’, is an incredibly uplifting record. Since forming in 1982, James are, without doubt, one of Britain’s most influential indie bands, enjoying a prestigious career that spans over 30 years. Their classic hits include ‘Sit Down’, ‘She’s A Star’, ‘Laid’ and ‘Getting Away With It (All Messed Up)’ amongst their 20 top 40 UK singles. They have released 12 studio albums and have sold over 12 million albums worldwide. 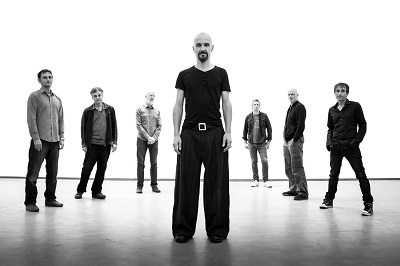 James are: Tim Booth (vocals), Jim Glennie (bass), Larry Gott (guitars), Saul Davies (guitar, violin), Mark Hunter (keyboards), David Baynton-Power (drums) and Andy Diagram (trumpet).